Music House student bands are frighteningly good. In fact, some of them are indistinguishable from professional bands. Come to one our many concerts and see/hear for yourself. 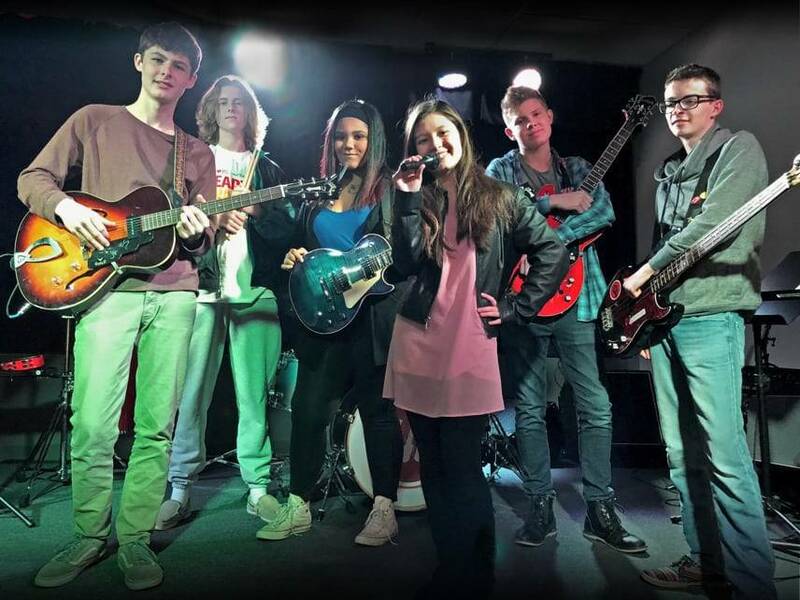 This week's featured band—the "delightfully weird" Get the Axe—rehearses weekly at our Lenexa location. Read what they have to say below. "Get the Axe" is an interesting name. How did you come up with it? Kaleigh: Alex was being loud and annoying so George said, "You should get the axe." He was kidding (I think). George: We all have such different tastes that when we come together it makes something delightfully weird. Kaleigh: And we've been through a lot together. Killian: John Bonham. He's a god. George: Of Monsters and Men, Clapton, and Hendrix. Kaela: Hey Violet, Frankie, and Carrie Underwood. How would you describe Get the Axe's style? Ryan: How to be in the right place in the music at the right time. Kaela: I like writing music because it's a way of sharing my emotions without showing them. Sam: Covers are cool too. There are a lot of ways to interpret them and bring something new to the song. Kaleigh: You should get the axe too!